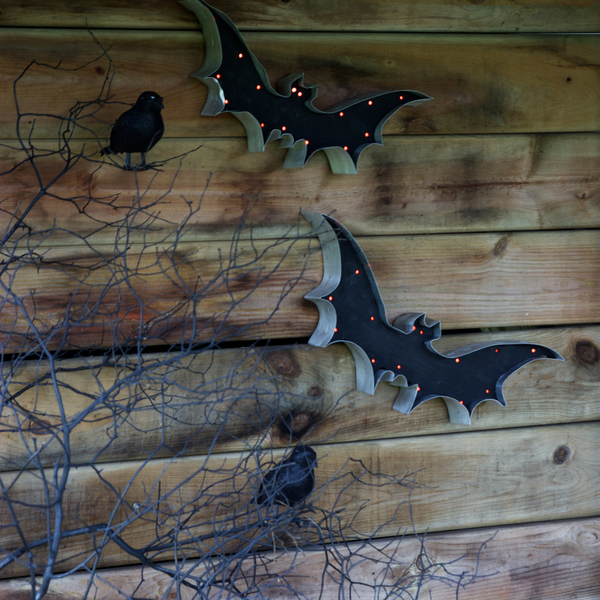 With Halloween right around the corner we wanted to add to our spooky decor collection so we decided to make these lighted bats! They were easy to make, using only scrap plywood, some metal flashing and some battery operated LED lights. 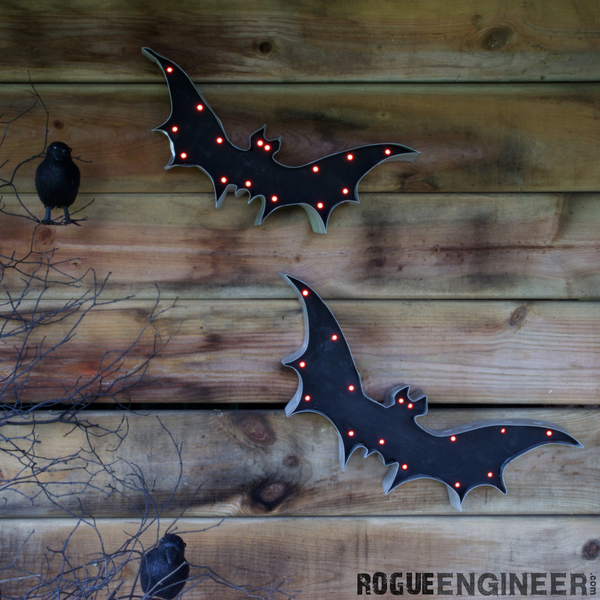 Be sure to check out rogueengineer.com for more holiday decor and tons of furniture plans. 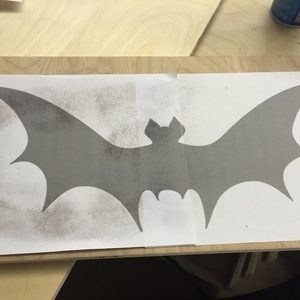 To get started, print out the supplied templates and adhere it to the scrap plywood with spray adhesive. 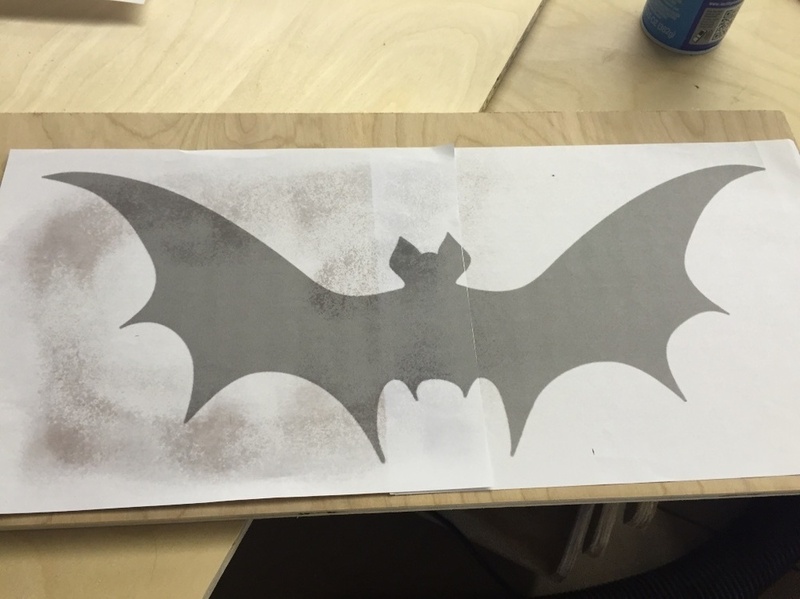 There are two different sized bat templates if you choose to do more than one. 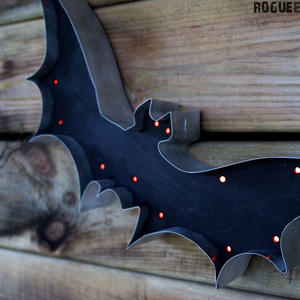 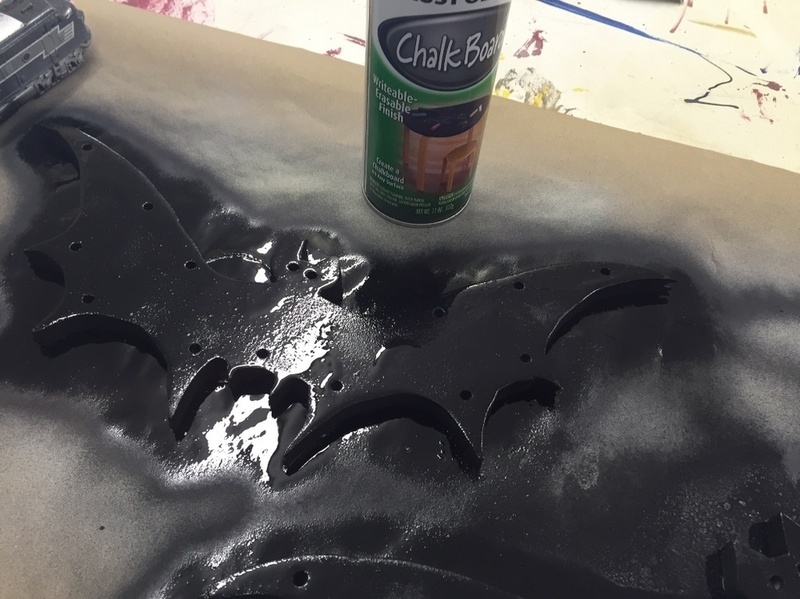 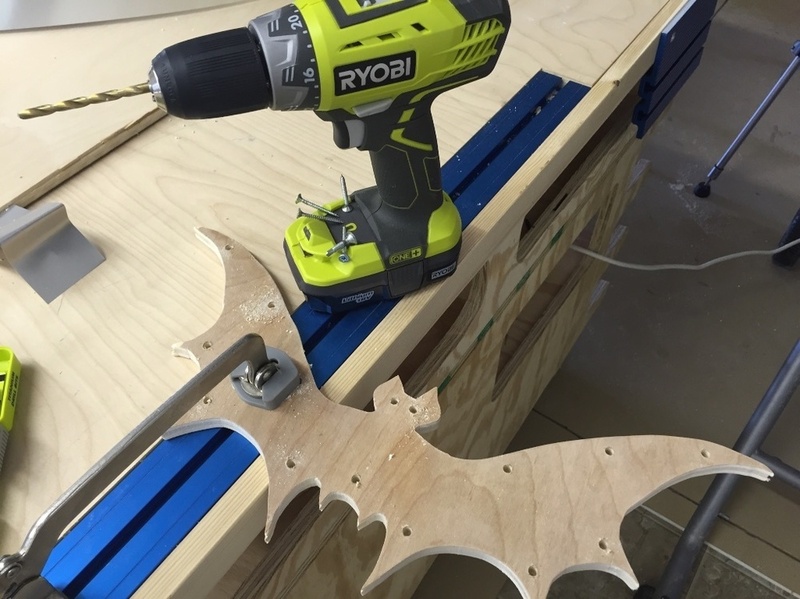 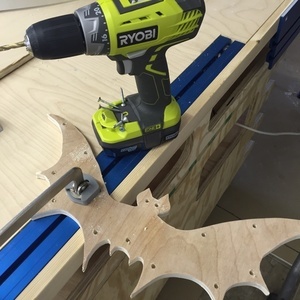 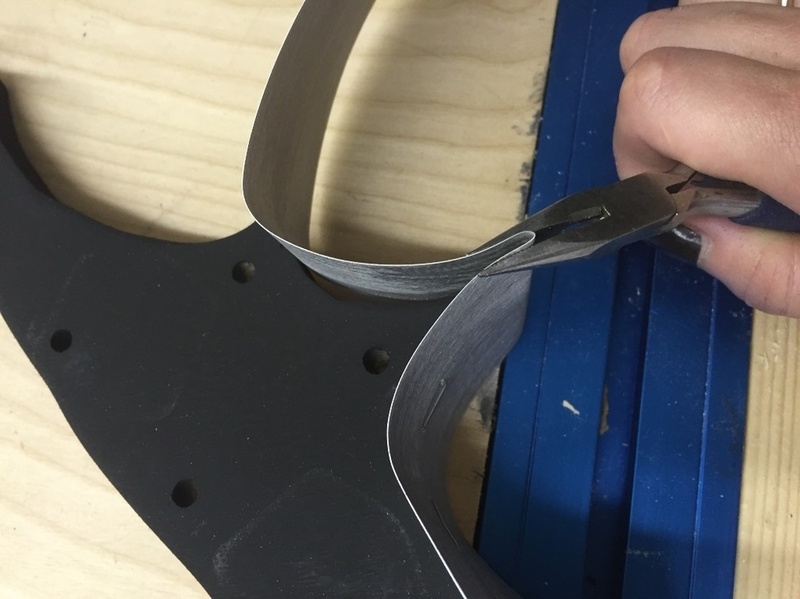 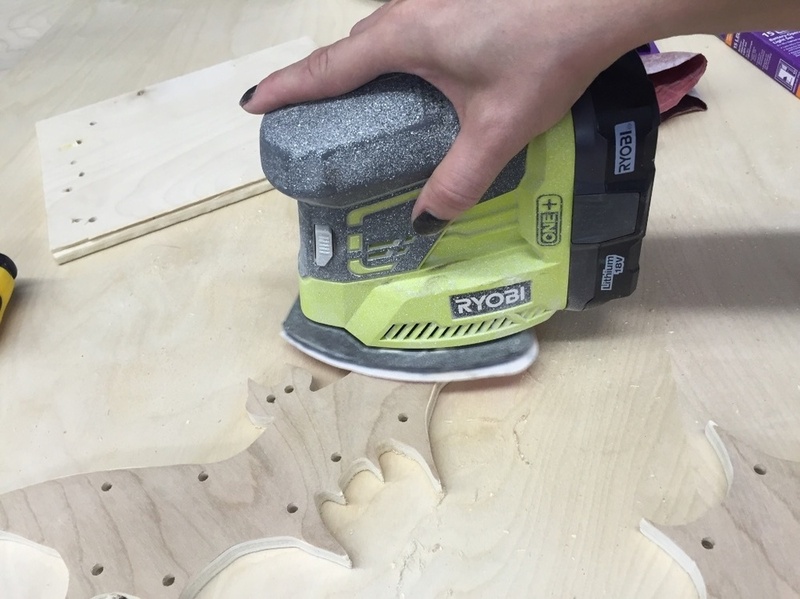 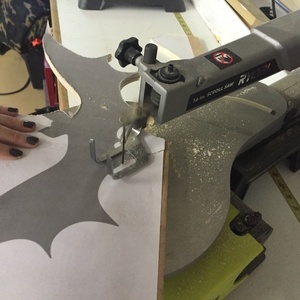 Now cut out the bat using a jig saw, band saw, or scroll saw. 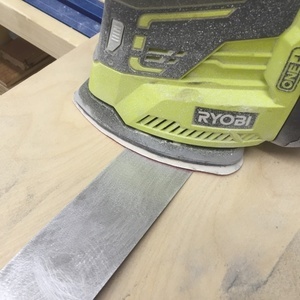 After cutting, knock down the edges with some sandpaper. 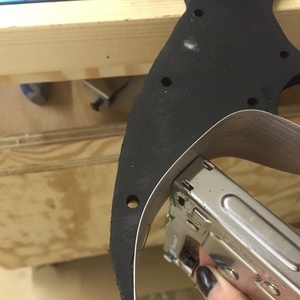 Now mark and drill holes appropriately sized for your lights. 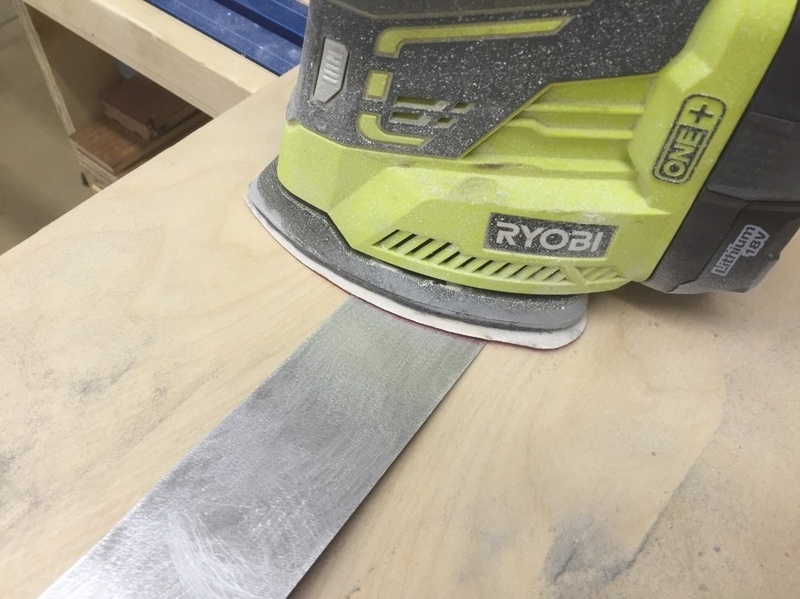 To prepare the surface for paint, give the board a good sanding with a fine grit sandpaper. 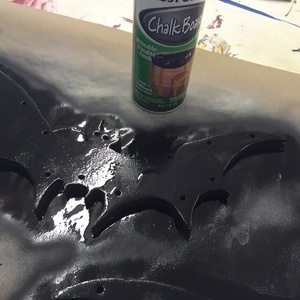 I painted my bats with chalkboard paint because that is what I had laying around and I liked the matte look, but any black paint would do. 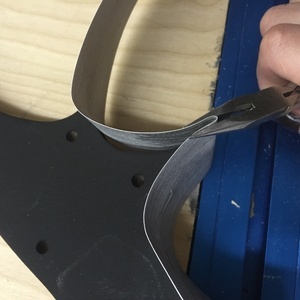 Using tin snips or good scissors, cut the flashing down to 2" wide. 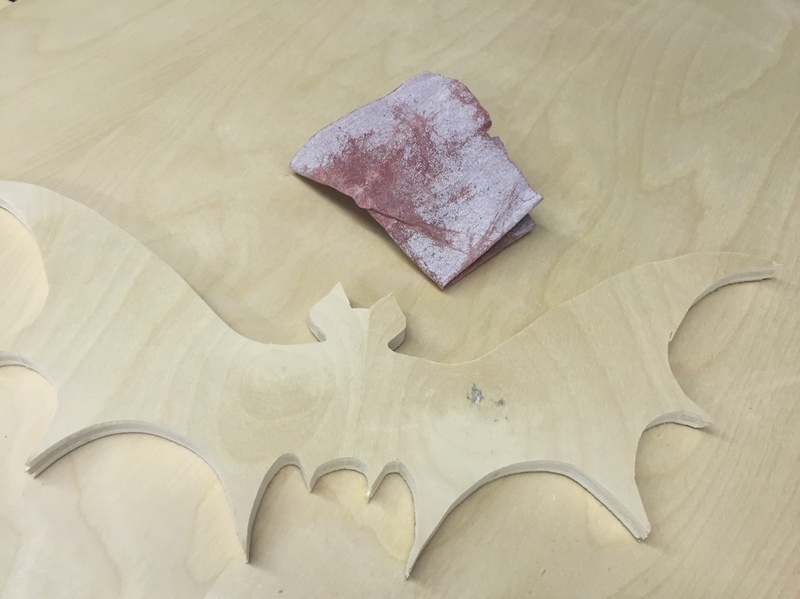 I decided to give the flashing a good sanding with a fine grit sandpaper. 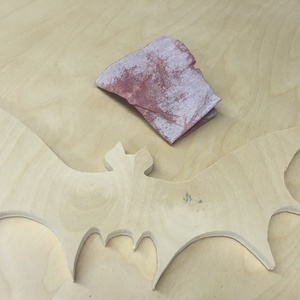 Now only did this dull the sharp edges but it dulled the entire finish, which I preferred. 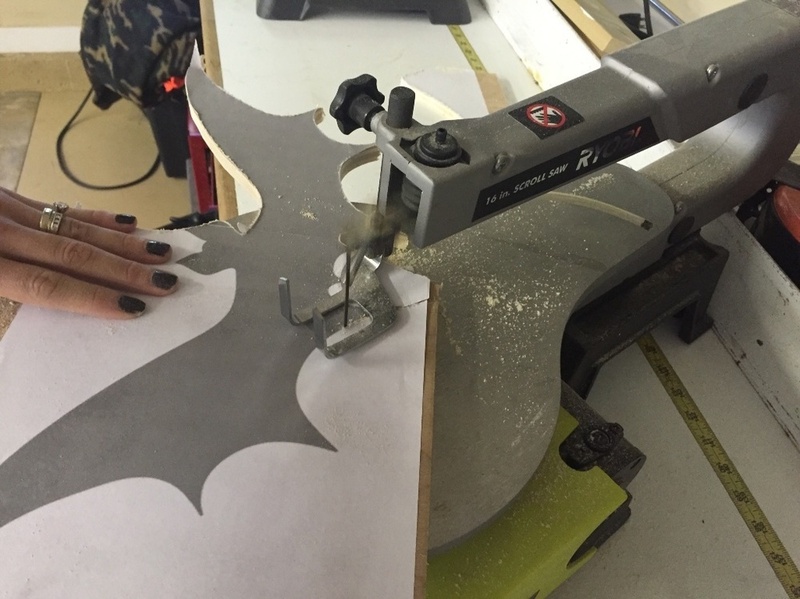 Now you can start stapling the flashing to the edge of the bat using a heavy duty staple gun. 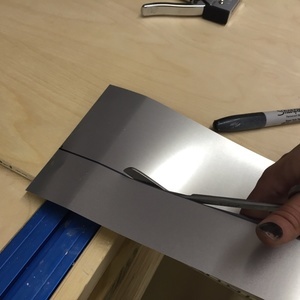 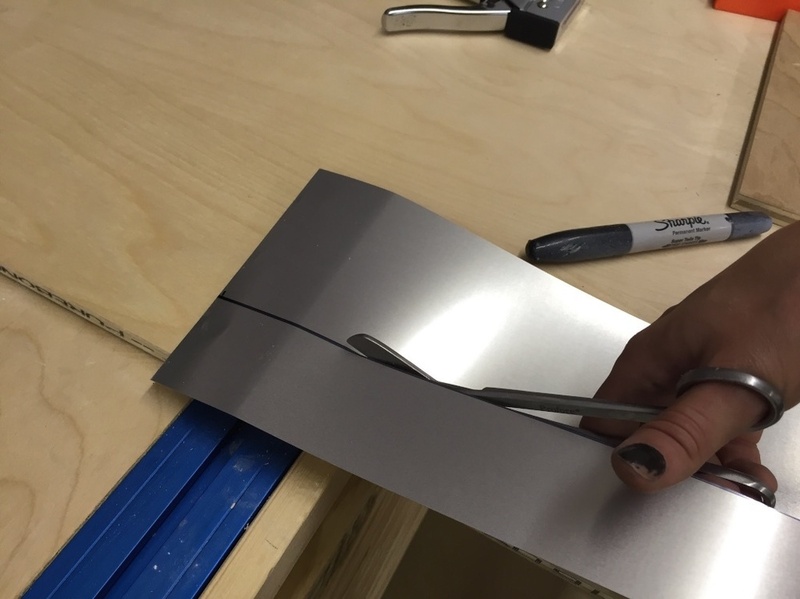 To get a good sharp corner you can crimp the flashing with a pair of pliers. 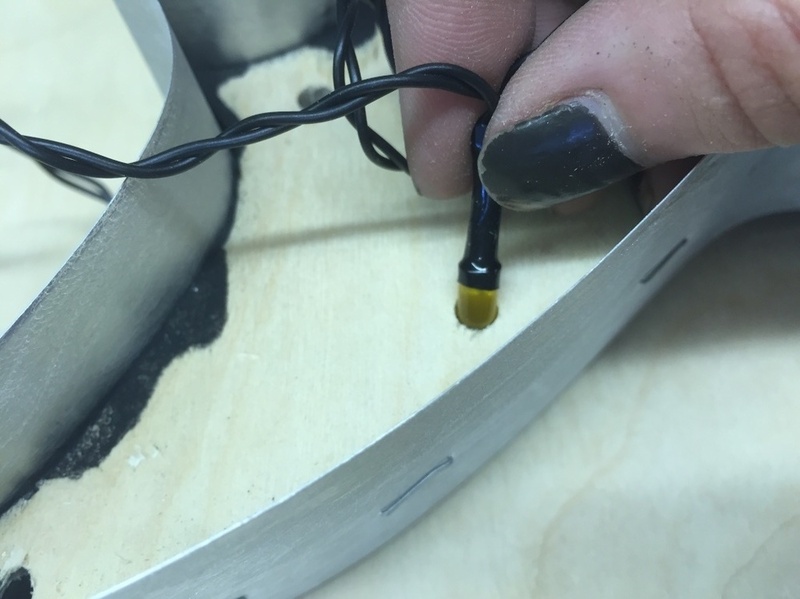 Now press your lights in place. 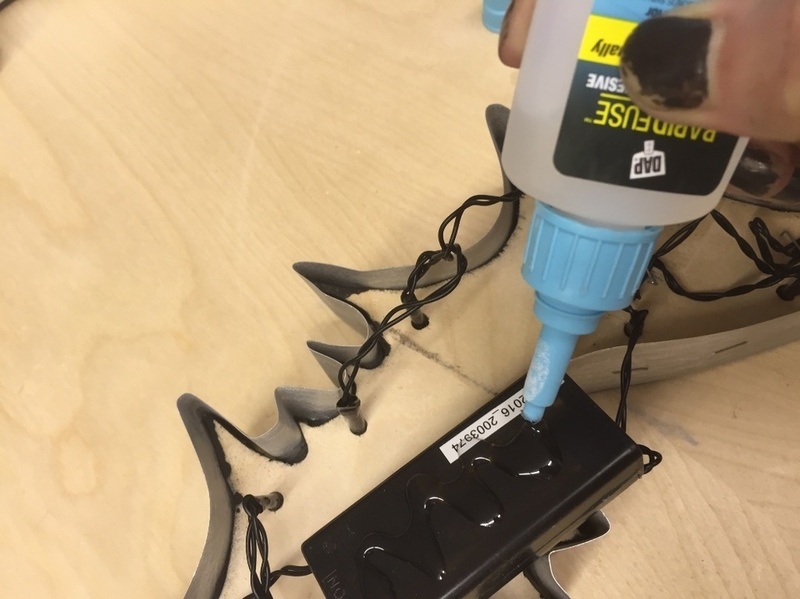 Mine held pretty well but if you need to add glue then do so now. 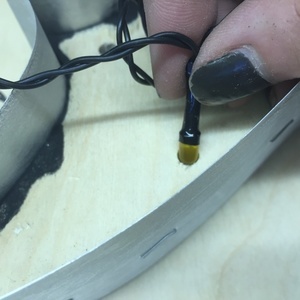 Glue the battery pack to the back of the plywood. 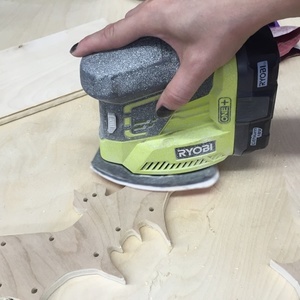 Make sure staple all the extra wiring behind the plywood so that it is not exposed. 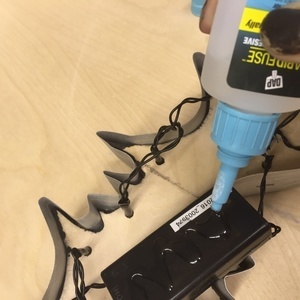 How do I get the templant. 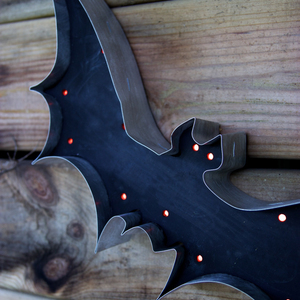 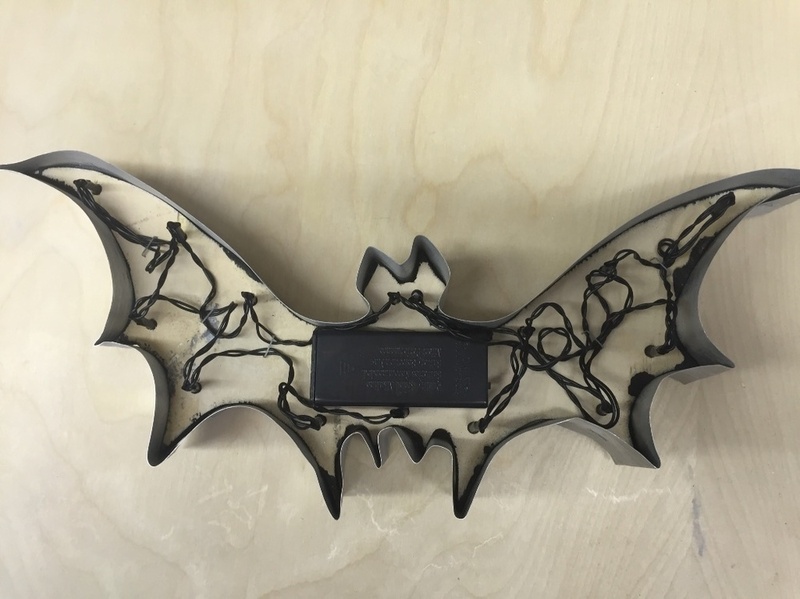 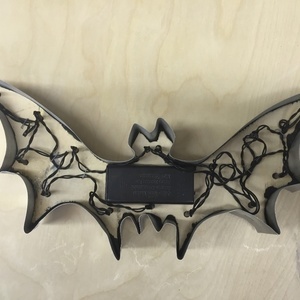 To get the template print the "View Project PDF"
How can I print out the steps for the Lighted Bats? 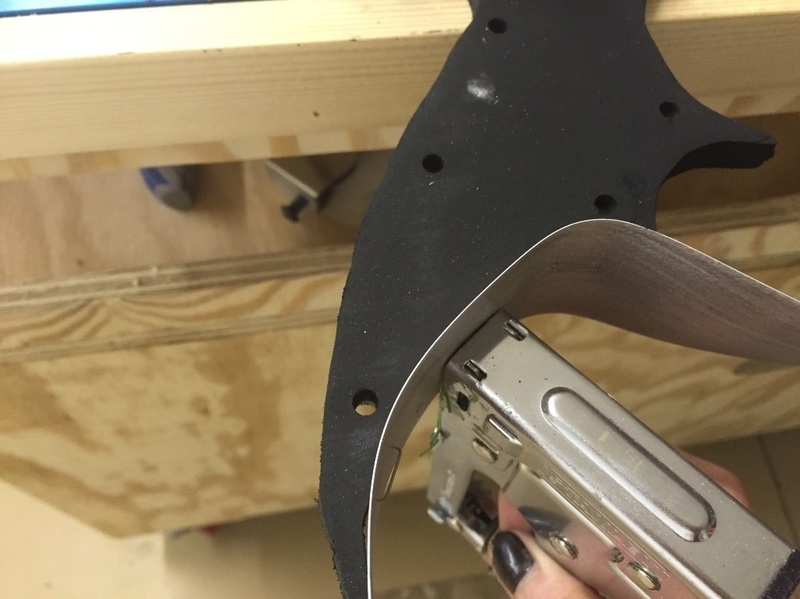 I have tried everything.